Redwings Aylsham Visitor Centre0870 040 0033work Animal SanctuaryRedwings Aylsham Visitor Centre in North Norfolk opened in April 2013. Situated in idyllic countryside just 12 miles from the centre of Norwich, Redwings Aylsham is home to over 70 horses, ponies, and donkeys. On site, the Redwings team offer regular walking tours as well as demonstrations in horse care. Facilities include a gift shop full of horsey souvenirs as well as a café offering warm drinks and delicious snacks. Redwings Aylsham is able to cater for group visits and there is also an outdoor children's play area for younger visitors to enjoy. Visitors can support the work of Redwings by sponsoring one of the centre's friendly horsey or donkey residents, either for yourself or as a thoughtful gift for a friend or loved one. A year's membership to the Redwings Adoption Club costs just £15! Redwings Aylsham is home to some of the charity's most charming Adoption Stars, including stunning Friesian mare Maya, the very handsome Gulliver, cheeky donkey duo Wiggins and Wacko, and Redwings' notorious herd of Shetlands, known collectively as 'The Gangsters'. Redwings Aylsham Visitor Centre in North Norfolk opened in April 2013. Situated in idyllic countryside just 12 miles from the centre of Norwich, Redwings Aylsham is home to over 70 horses, ponies, and donkeys. On site, the Redwings team offer regular walking tours as well as demonstrations in horse care. Facilities include a gift shop full of horsey souvenirs as well as a café offering warm drinks and delicious snacks. Dogs on leads are welcome at all of Redwings' visitor centres. Cafe, gift shop, information centre, children's play area, disabled access, VAQAS Awarded. 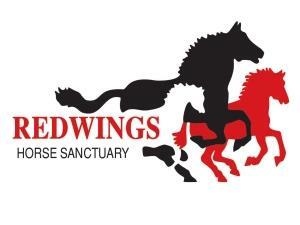 Redwings Aylsham is situated just off the A140 junction at Henry Page Road, Aylsham.